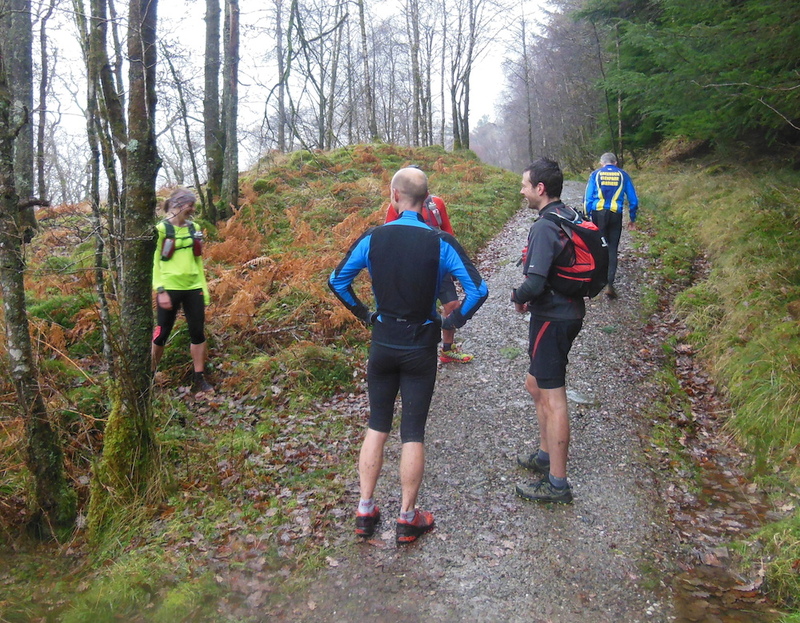 A few weeks ago Marco asked me whether I fancied having a run on his and Matt’s route about Ben Lomond. 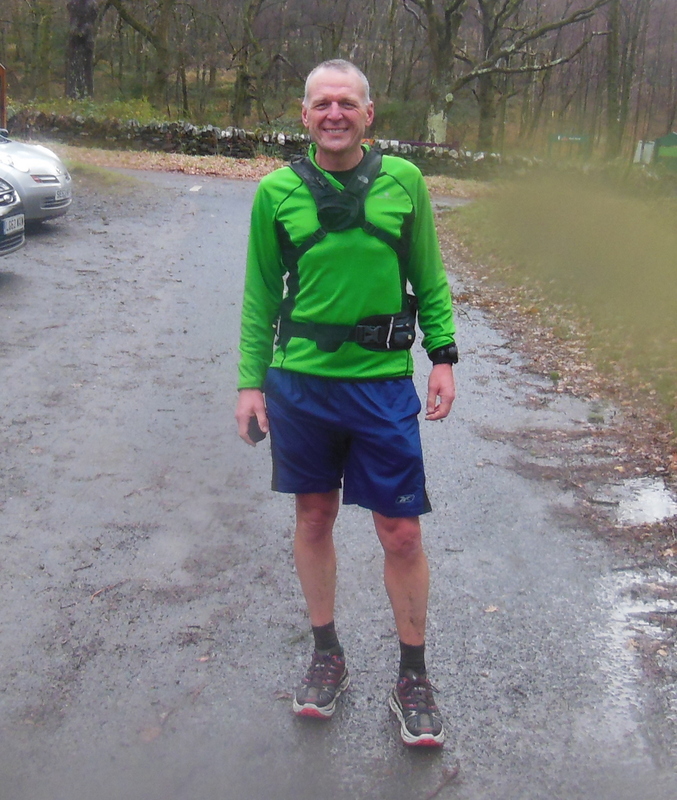 I jumped at the chance as I wanted to have a tougher 18miler three and half weeks before the Hardmoors 30 race on New Year’s Day. It worked out really well as Katrina was having a weekend in Edinburgh with three of our girls for some Christmas shopping. To make even better Jonny and Frances invited me to stay with them at their B&B in Drymen. We had a leisurely breakfast (thanks Frances) and then drove to Rowardennan in time for the 10am kick off. As we arrived supper star runner Angela Mudge was there waiting for a friend for her run up Ben Lomond so it was good to have a chat waiting for the others to arrive. Marco and Matt arrived together as did Fionna and Bob. Kevin arrived on his own. We got ready and asked Angela to take a group photo before we set off. 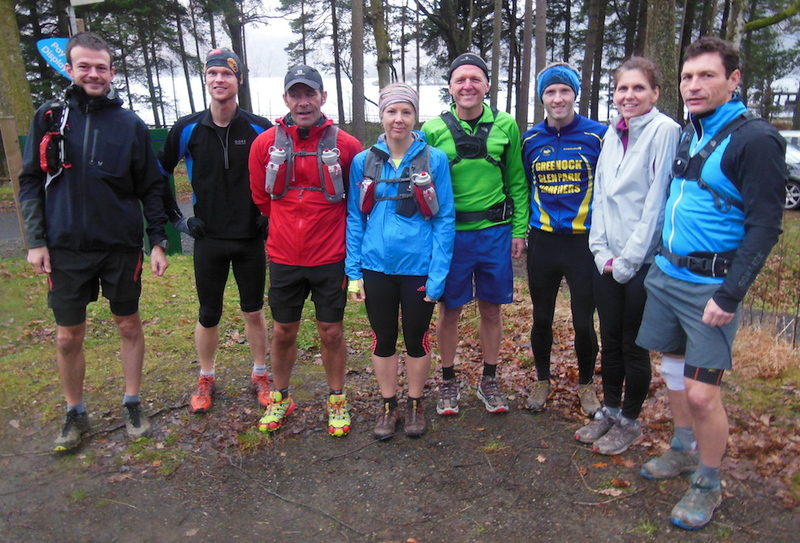 As soon as we set off I realised I was running with some good runners and this wasn’t going to be an ‘easy’ run!! Jonny and Frances were happy to run at their own pace and after a few minutes they were happy to let the rest of us push on as they knew the route. 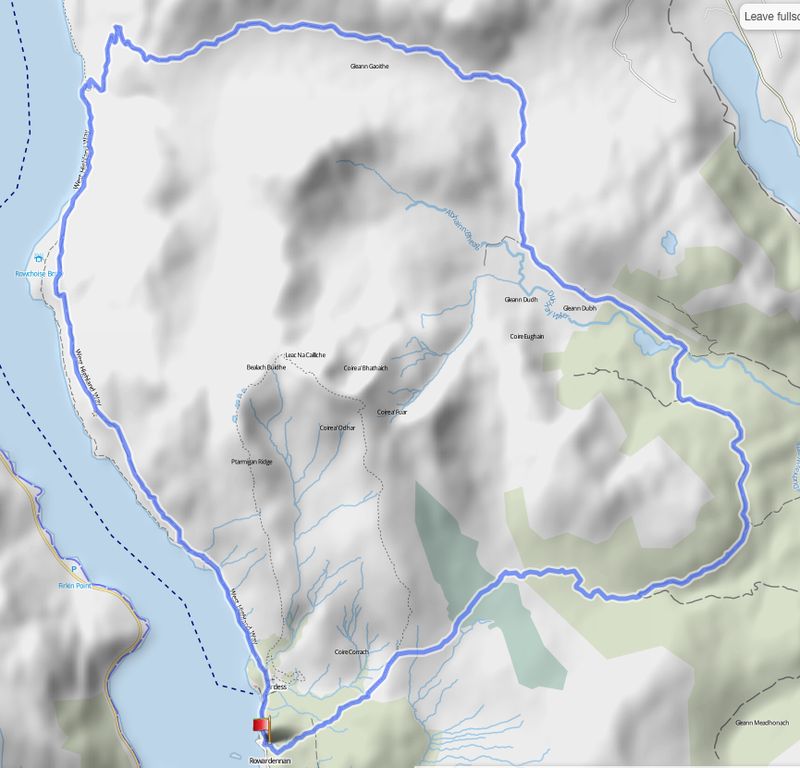 The route follows the West Highlands way route for 5miles or so and then at the white cottage takes a right and follows the path up and up. The photo above is the group waiting for me to catch up which is something they had to do quite a bit!! Matt very kindly stayed with me for a good part of the run. 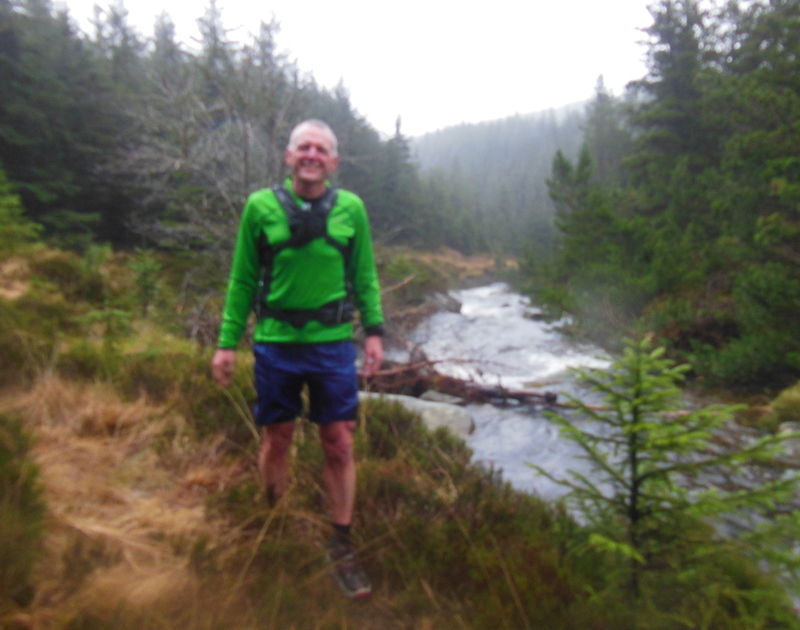 It was good to chat to him about his plans for the West Highland Way race. I’m going to follow his progress on the podcasts which will be interesting. Once we got to the hill we had a great run all the way to the bottom along a good track. The weather was drizzly but not too cold. I wore 2 tops but never put my jacket on as I felt okay. The others had their jackets on and off a few times. I was a little concerned about my hamstring but it was absolutely fine which was encouraging. I’m going to have some easy runs this week as it’s the speed work which might aggravate it. We continued to follow the track, this time heading back up again until we arrived at a point where we left the main track and followed the river up the hill. 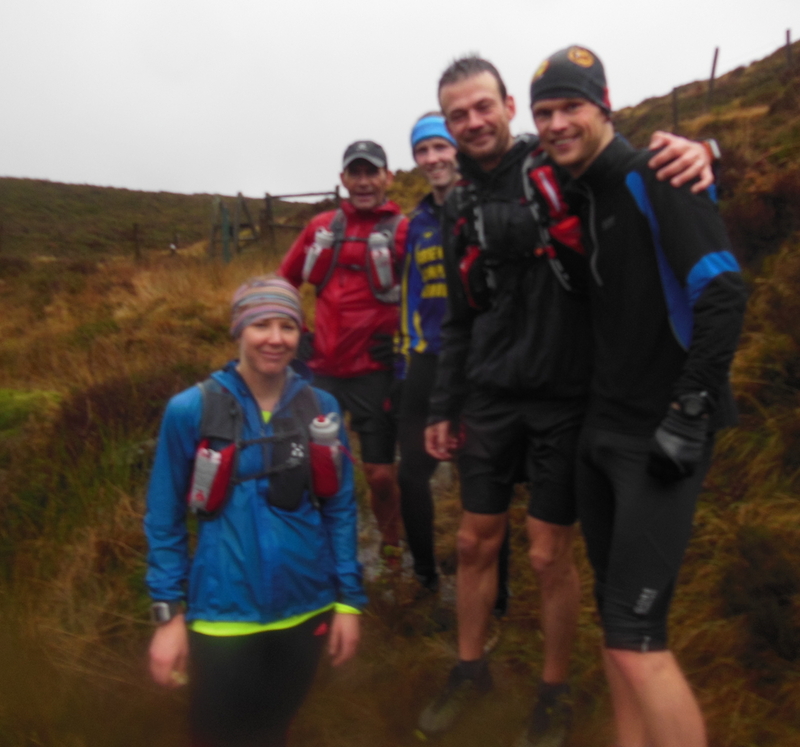 This was a very boggy section but good fun. Slightly out of focus (blame Marco!!) but gives you a sense of the path we were climbing up. Once we got to the top of the path through the trees we climbed over a stile and then headed across to join the Ben Lomond path. Again slightly out of focus (my fault this time!!). The path across the moor was really tough but the other 5 made it look easy as they skipped across and disappeared into the distance! I was working as hard as I could but was left behind! The group waited for me to make my way over but once we reached the Ben Lomond path they were away which was fine as I knew the way from there! I ran 18.97miles in 3hrs 33mins at 11.16 pace with an average heart rate of 134. 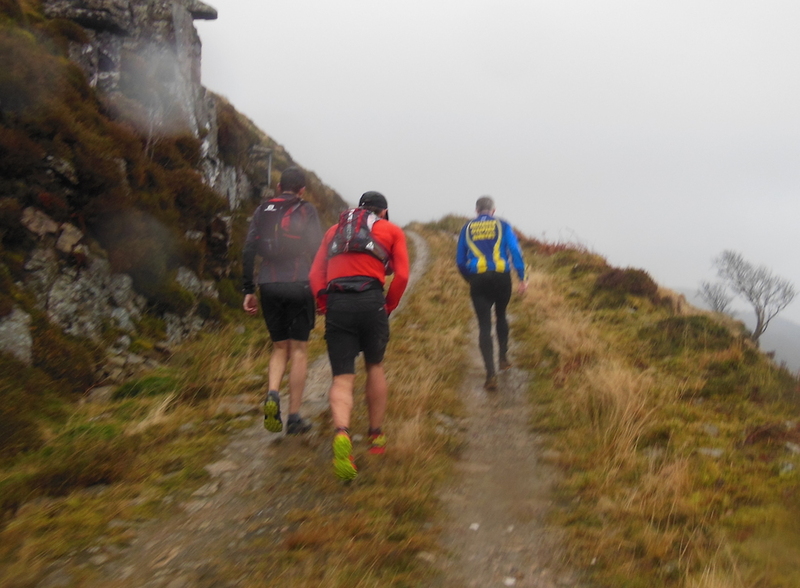 So a really good workout and great preparation for the Hardmoors 30. So thanks to everyone for a great run. I really enjoyed it and will certainly being doing that route again. I took some video clips as well so I’ll put that together in the next few days. This entry was posted in Ben Lomond Loop. Bookmark the permalink. Thank you for coming along today. It was great fun running with you today. Hope it was good for your race in 3 weeks time. Certainly a good training run for me today too.